My first fitness/activity tracker was the Nike+ Fuelband, back in summer 2013. It was an interesting and motivational product at the time, and I used it for the better part of over a year. In the fall of 2014, I started to log my runs with Strava, and left Nike+ behind, purely due to their lack of software updates. As a result, my interest in the Fuelband also dwindled, and I subsequently stopped using that, too. I lead a fairly active lifestyle, and did not consider another activity tracker until fairly recently. I am actually still unsure whether to refer to such devices as “fitness” or “activity” trackers(! ), but I digress. I use a Garmin watch (fenix 3) to record my runs, which does doubles-up as a fitness tracker. However, it is not convenient/practical to wear it 24/7. The fenix 3 is a heavy and fairly bulky watch, and I spend around 50% of my my time wearing it, with the other time using an Apple watch. To this effect, the consideration of a dedicated fitness tracker on my other (right) wrist was a thought that I had been pondering over for a few months, but did not act upon. However, after Christmas this year (2015), I decided to check out what fitness trackers were available. My first thoughts were to get a Fitbit Charge HR, however, the Fitbit software is fairly restricted, and data cannot be shared with Garmin connect or Apple health. A little more browsing led me to the Garmin range, which made a lot of sense as my fenix 3 and Edge 1000 already use Garmin connect. My first inclination was to go for the newly released Garmin Vivosmart HR, however, I was sceptical about the reliability/accuracy of wrist-based heart rate monitoring, having a negative experience with the Tom Tom Cardio Sport. Aesthetically, I was also less than impressed with the Vivosmart HR. As a result, I decided to purchase last year’s Vivosmart, which was slightly less expensive, has better battery life (up to 7 days, compared to 5 with the HR), around 10g less in weight (19g, verses 29g on the HR) and much more minimalistic in design (which I prefer). The device is not always on, and to wake it you need to tap the screen twice. It also boasts an OLED touchscreen, and you can swipe to see different parameters. I should add that it secures to your wrist using pin-lock clasp, as opposed to the buckle on the Vivosmart HR and Fitbit Charge HR. I may be in the minority here, but do not prefer buckles on activity trackers. I probably don’t need the motivational aspect of a fitness tracker, and the overall purpose is to simply ensure I know just how active I have been, rather than having sketchy data from the fenix 3, which I do not wear 24/7. The sleep tracking is also a huge bonus. I have slept with the fenix 3 on my wrist, and have also slept with the Apple watch on throughout the night. Neither are particularly comfortable, and the discreet and lightweight Vivosmart are a welcome situation. First impressions are very positive. I got the small size, and was slightly concerned about this. However, my wrists are fairly small, and it fits around the mid-point of the clasp, which is perfect. It is also very light and comfortable to wear. Set-up was moderately easy, and did require a few tries, but everything was eventually up and running. Conclusively, there is an overwhelming choice of activity trackers on the market. The Vivosmart appears to be a very solid device, and if you are interested in a notification device, too, can highly recommend this. Interesting read. I was just looking at the Vivosmart this week trying to figure out if I want to go through the hassle of wearing a tracker again. I also have a Apple Watch and just started wearing a fenix 3 (and 235). I like the smartwatch features of the AW, but find the Garmin running features far superior. And I have years of data with Garmin. I stopped wearing my AW for a while after getting the 235 (with t’s built-in activity tracking) and really like having all of my health data (runs, steps, sleep) in one place. I went back to wearing the AW for a few weeks recently and really missed the social component of Garmin (as well as having someplace where my steps and sleep get uploaded). 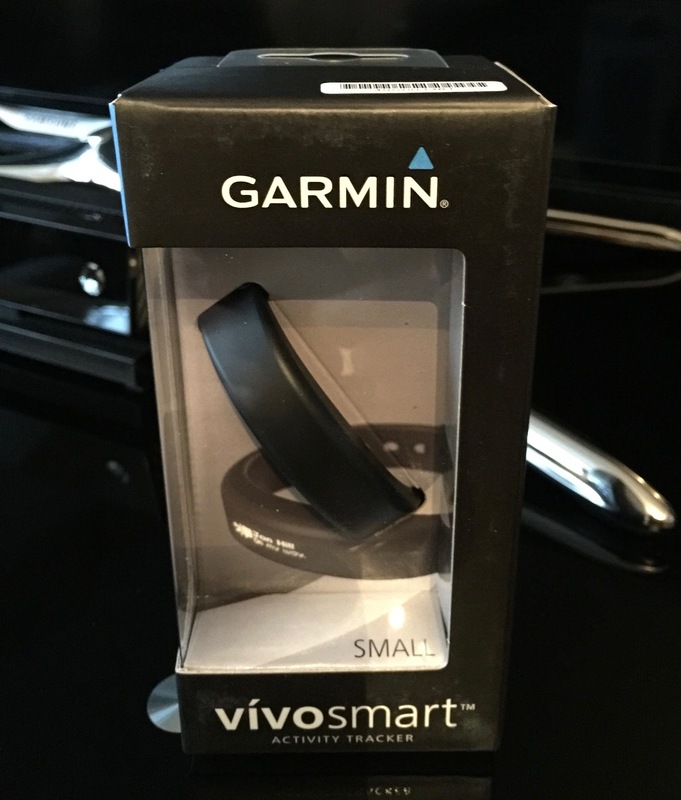 Are you still wearing the Vivosmart? I’m debating whether to go with wearing the fenix 24/7, or using the AW with the Vivosmart as the daily driver, with the fenix or 235 worn just for runs. I am still wearing the vivosmart. I would love to use the fenix 3 as an activity tracker, but as I don’t wear it everyday, it is not practical. Also, it is a little bulky to sleep with. I use the vivosmart as a 24/7 device, as it is light and comfortable enough, and then can use either my fenix 3 or Apple watch, depending on what I am doing that day. Mine has actually started displaying some of these issues. Need to get it replaced. That is the only down side of this (otherwise great) gadget. On a positive note, my fenix 3 has just had it’s one year anniversary and is perfect! fashionable product. Vcall fitness tracker. coach, guider and good friend who is caring me all time.